In April this year new reforms will affect the amount of housing benefit received by hundreds of thousands of people living in social housing across the UK. In particular the so-called “bedroom tax” is a potential source of discord between housing associations and their tenants as it is effectively an enforced increase in rent for those affected. Wellhouse Housing Association look after over a thousand households in Easterhouse. Late last year they contacted us and expressed their desire to develop a short comic explaining the effects and possible ramifications of the “bedroom tax” on two fictional tenants. The comic would be distributed in a newsletter in February and thereby open dialogue well before the changes to housing benefit took effect. 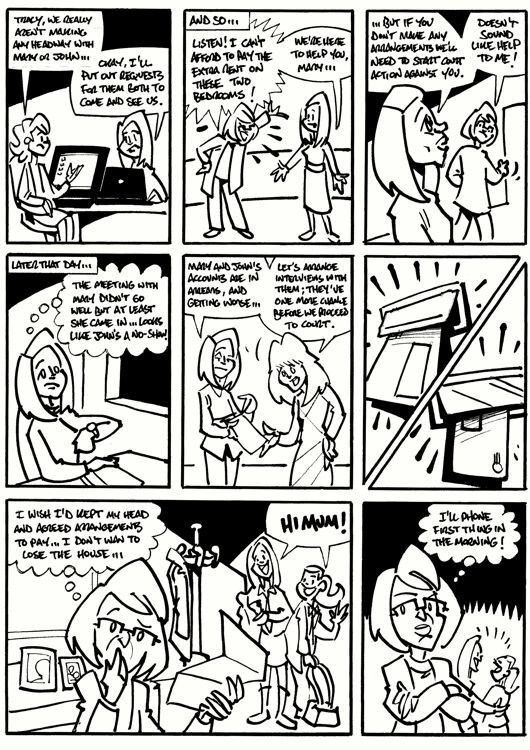 The comic had to explain, firstly, that the changes were being implemented by the UK Government and not Wellhouse themselves; secondly, that the best course of action for those affected was to work with the association, try to minimise or avoid disruption and manage the necessary change in the household budget; thirdly, that ignoring the problem could lead, in the very worst case scenario, to court action and eviction. 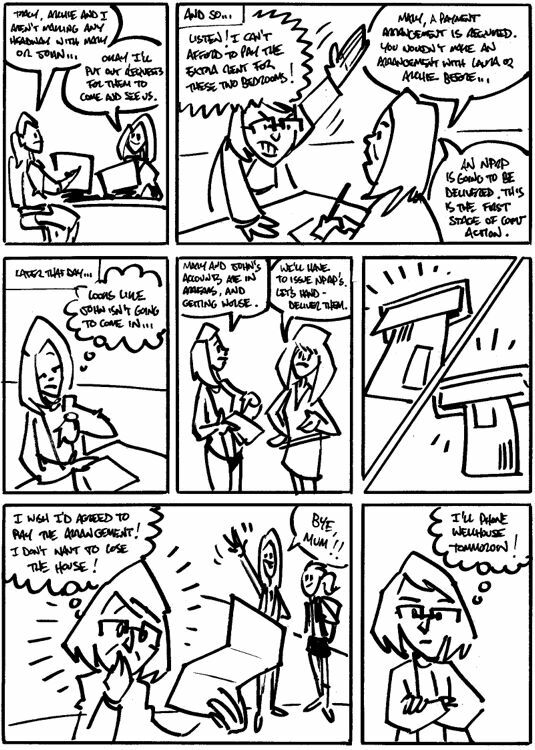 As with all projects of this kind the strip was developed in stages, starting with a written outline from the client. 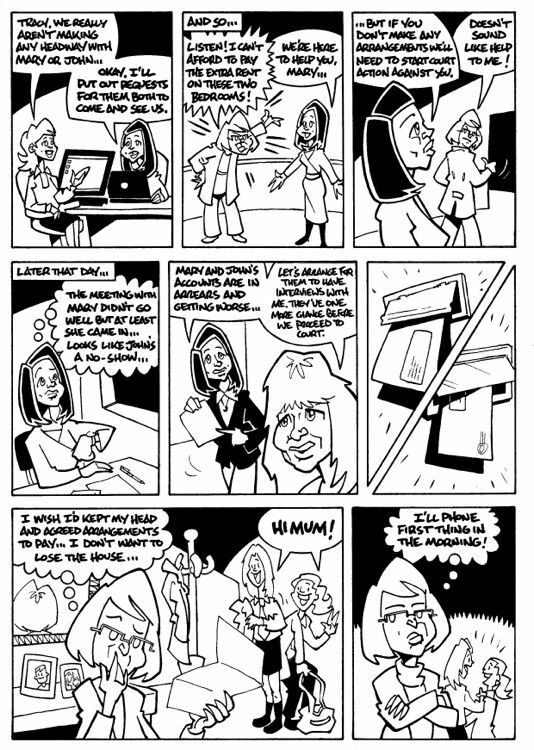 Drafts of the strip were submitted for approval with each being more polished than the last and suggested changes incorporated along the way. 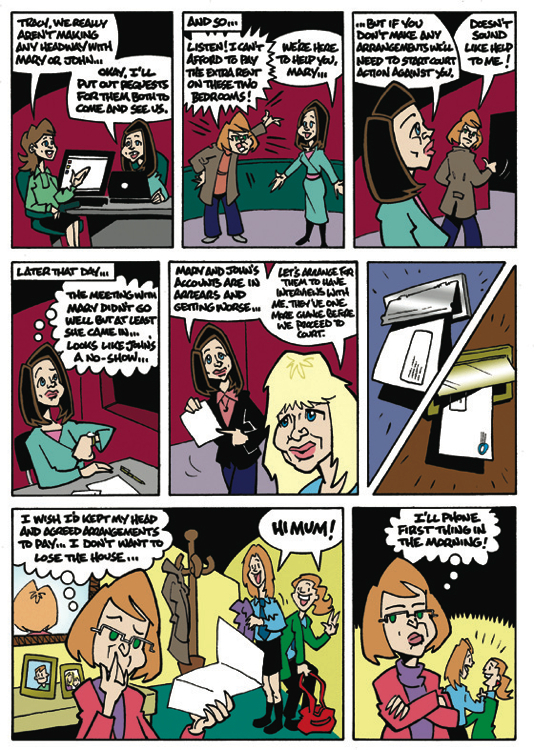 You can download the full comic as a pdf at the Wellhouse website. The gallery below shows the development of one page from the story. Comic strips are a direct, bold, emotive way of connecting with people. 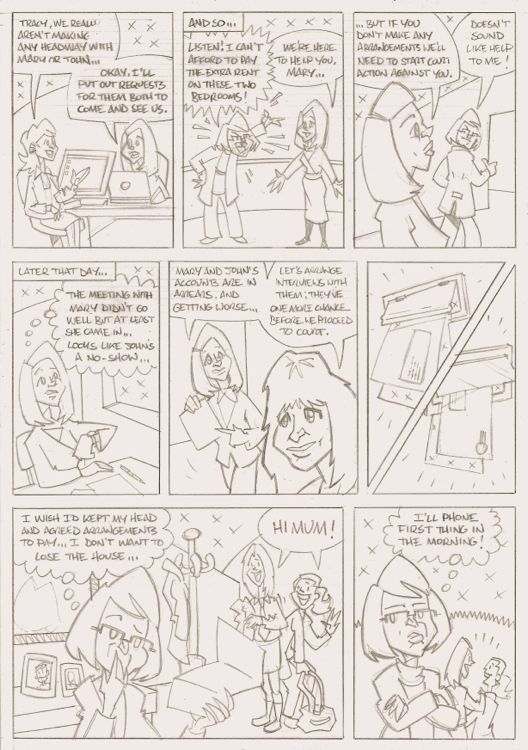 If your business or organisation wants to capture a narrative, explain a process or convey important information using comics then please get in touch.